Questioners question all expectations; they’ll meet an expectation if they think it makes sense--essentially, they make all expectations into inner expectations. 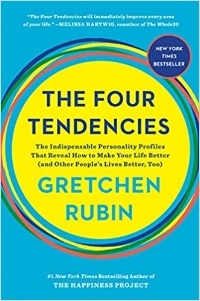 I'm curious - what tendency are you?? Is it accurate?? I found out that I have a Rebel Tendency. Ok, nothing new, lol. I've gotten in trouble countless times for thinking and doing outside of the box. It didn’t always bode well for me. And I've also always had trouble sticking to things that because...you know, I don't want to. This probably explains why I'm so obsessed with teaching about habit change - we always teach what we ourselves need the most help with after all. I felt relieved to learn a new understanding of myself and why I think and do the things I do, but I still needed a solution to my problem of not maintaining the momentum for the projects I start. In this article, Gretchen shares tips to help rebels make changes in their lives. What's weird is that I can see how my parents use some of these strategies to talk to me and it totally works, lol. 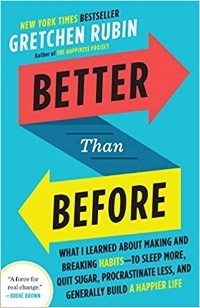 She refers back to an earlier book, Better Than Before, in which she shares 21 strategies people can use to change their habits. Rebels are all about doing things differently from other people. So see if there’s some kind of spin on the habit you want to adopt that makes it feel or sound different than what everyone else is doing. So what about you? Which tendency are you? Do you feel like the description is pretty accurate? Let me know in the comments below!